You can now print any A4 document from any software direct to us and we’ll get it printed and sent wherever you want. And you’ll probably find we’re cheaper than your printer cartridge, which you now won’t have to change so often either - win, win! 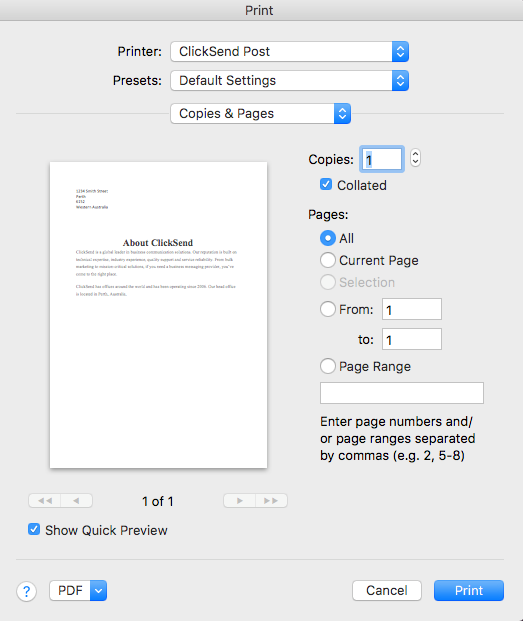 Just download the printer driver that suits you here, it literally takes a few clicks to set up and the next time you’re in your favourite word processing software, or any software you can print A4 from, you’ll see ClickSend Post as an option. So click on it and we’ll get sending. You will need to include the address on the top of the document for us to know where to send it.